A doula is a woman who supports a woman throughout pregnancy, childbirth and postnatally. This support can be emotional, practical, physical and spiritual. Historically, women were always surrounded by loving women during childbirth. This emotional support has been lost in the West since women started to go into hospitals to give birth. An Ayurvedic doula (or Ayurdoula for short) is someone who provides doula support but also focuses more on the health of the mother-to-be or new mother. She assists more with the preparation of therapeutic foods, herbs and gives nurturing treatments and massages which treat the mother's body, mind and spirit. It is particularly beneficial to have an Ayurdoula postnatally to provide physical and emotional rejuvenation after birth. Healthy nourishing meals are cooked for you and massages and treatments given. 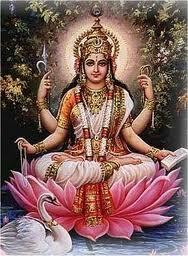 As an Ayurdoula, I will go on call for you 24 hours a day 10 days before and 10 days after your due date. Outside of these times, I will do my best to get to you wherever possible. We realise that this may seem quite an expense at this time. Most people spend a fortune on buying brand new baby clothes, equipment and doing up the nursery (none of which is the baby will notice!). But this is a vital time in a woman's life which can determine her health for many years. Instead of getting gifts for the baby, maybe you could suggest to family and friends to purchase you an Ayurdoula visit or treatment instead. Gift vouchers are available from us.